Pandas on parade in Taipei. Now that the yellow duck has left Taiwan’s shores, the country is in dire need of a new adorable animal. Pandas have swiftly filled that gap, with the baby panda Yuan Zai finally being available to the public in December and now 1,600 paper-mache pandas have made their home in front of Taipei City Hall as part of Pandas World Tour – Taipei 1600貓熊世界之旅-臺北. 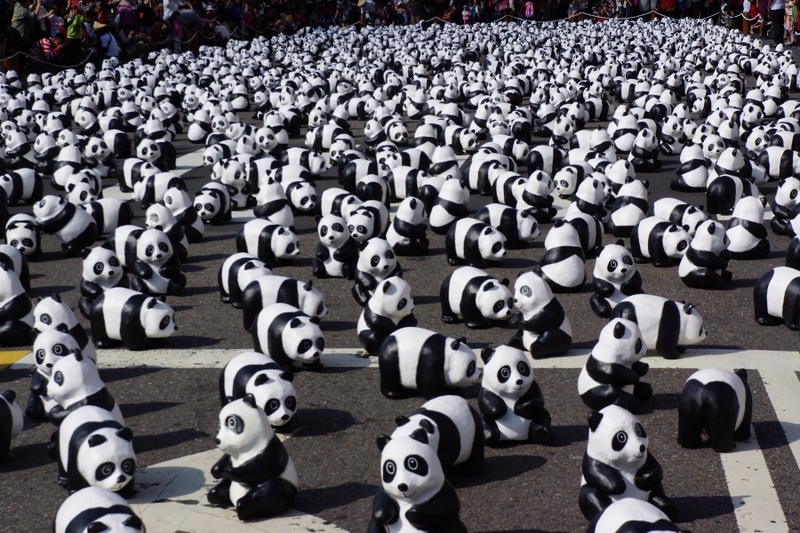 Created by French artist Paulo Grangeon, the pandas have finally made their way to Asia. Check out some of my pictures from this multi-stage exhibit.